When was the last time you looked around and felt comfortable in your environment? Or felt like you were "caught up," whatever that means? When did you put something into one more pile and tell yourself that you'll take care of it later? Unfortunately for many of us, later never comes. And when we look around us, we feel overwhelmed, or like we're a loser, or that we're lazy because (we tell ourselves) anyone could clean this mess up. 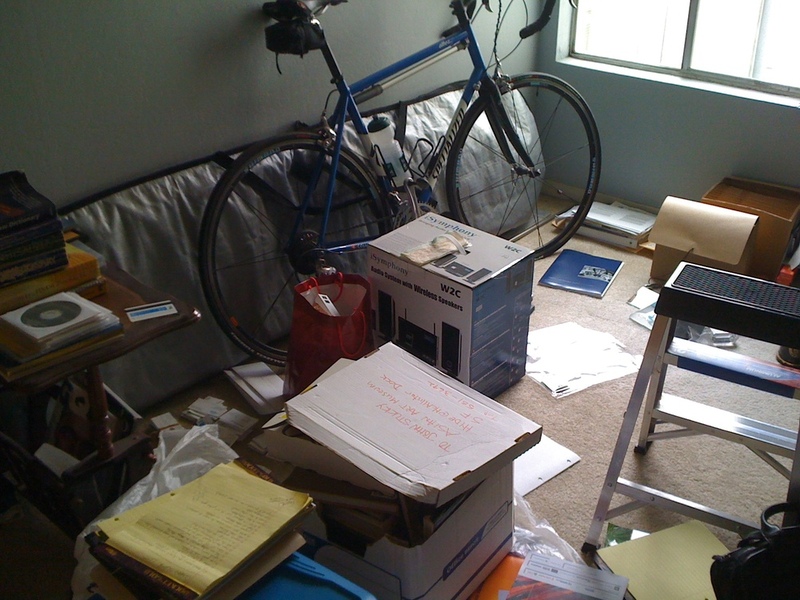 The truth of the matter is that we all have so many things to do to just stay current that the idea of cleaning, filing, even thinking, gets to be overwhelming. Somehow asking for help, or even thinking that we deserve to get it is too much. I know someone in this exact situation. He has a home office that he didn't work in. As a matter of fact, when he told me that he wouldn't even let his housekeeper in to dump the garbage, I told him I was coming over to help. When I walked into his apartment he showed me all the storage space he had, which was plentiful. He showed me every room and each one was clutter free and clean. Finally he opened the door to the home office. I could tell he was a little nervous about this. Maybe he thought I'd judge him (perhaps because he was judging himself), but we just got to work. It's an intuitive job. I look around, feel around and decide where the best place is to start. I always like to begin with the person. Before we began on the room, I asked him where his favorite place in his apartment was. He chose a leather chair in the living room. I asked him to sit, close his eyes, and imagine how he wanted to feel when he was in his home office. I had him feel into that and when he did, we began. We had fun as we worked together to clear up the chaos and create some space for him. Little by little things were put away, filed, thrown out, moved to his car to be taken to work and organized in his office. We came up with ideas for him to continue on this path in an easy way. In a little over 2 hours, we were done with this part of the process. Both of us were very pleased with what we had accomplished. Of course, the proof is in the pudding. Would he be able to keep it orderly? Well, he called me on the following Monday and told me proudly that he had worked in his home office all day. He said that something I had said to him stuck in his head. I told him that next time he was getting ready to put something on the floor to stop and think about it. And that's exactly what happened. He was going to do that, heard my voice and filed those papers instead! I think today he's a happy man.